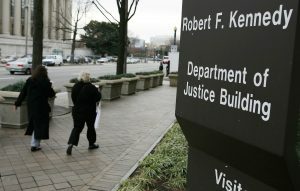 The decision, announced in a filing in a federal court in Texas, is a rare departure from the Justice Department’s practice of defending federal laws in court. Texas and other Republican-led states are suing to strike down the entire law because Congress recently repealed a provision that people without health insurance must pay a fine. The repeal takes effect next year. The Trump administration said it will not defend the ACA requirement that people have health insurance and provisions that guarantee access to health insurance regardless of any medical conditions. It said the rest of the law, including Medicaid expansion, can remain in place. But the major insurance industry trade group said Friday that removing consumer protections for people with health problems and for older adults will harm consumers and create more turmoil in markets that have already seen steep premium increases. The lawsuit, filed in February, is in many ways a replay of the politically divided litigation that ended with the Supreme Court upholding the health care overhaul in 2012. In the new suit, California is leading a group of Democrat-led states in defending the law.